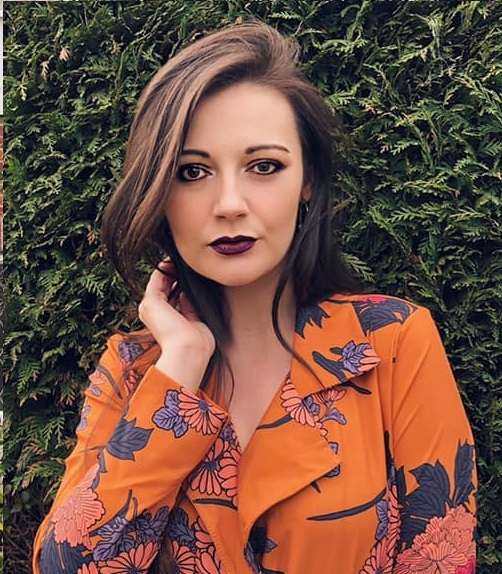 Would you believe that both the dress and blazer were both bought from Charity Shops, don't they make such an awesome outfit when put together? Pastel pink has to be up there with one of my favourite colours, and i think it actually suits me quite well. 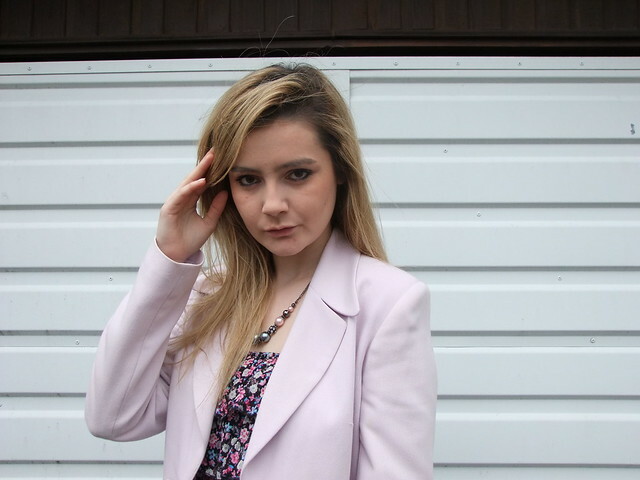 I've been lusting after a pastel pink blazer for a ridiculously long time, so when i saw this beauty for just £4, i knew it had to be mine. Definitely better than paying a silly amount of money! Charity Shops really are the best, i'm so glad that there are so many local to me! This cute little dress is perfect for summer, the floral print is so darling! I'm not to sure if i like the bit at the top of the dress around the breast region, as in the wind it makes it look a bit stupid, but when there's no wind i'm a fan! 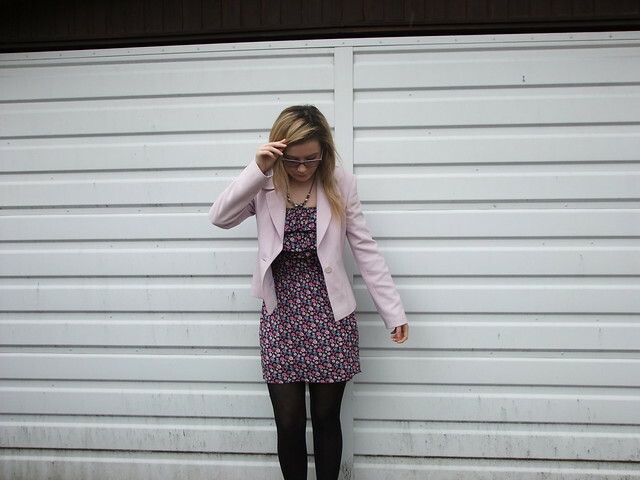 I think this is the first time i've been happy with a smart-esque outfit that has minimal black in it! My brothers home from Crawley for his 6 week break, going to be nice seeing some more of him, i actually do miss him when he's not here! My skin is absolutely dreadful at the moment, it doesn't look that bad in the photos (thank you foundation & concealer), but it really is horrendous. I don't suffer from spots usually, so i don't know if it's the change in weather or due to stress that has made me break out, but i'm not exactly happy about it. Do any of you know any good products that could help my skin, bearing in mind i do have very sensitive skin too? Seriously, anything will be more appreciated! The blazer is gorgeous! And a bargain at £4 ! Wow, I wish our charity shops still had bargains like this - they all seem to have decided that everything is vintage and therefore put the prices up. Great charity shop finds. I love the soft pink of the blazer with the black. Smart, but playful at the same time.